India has reached Australia and will open against hosts with T20 series. India is in great form after thrashing West Indies on the home grounds. Australia is going to be a different class. When asked about Australian strengths and weaknesses, Captain Kohli said: Australia is a world powerhouse in Cricket, Though they are weakened by recent ball-tampering drama, still they are a world-class side to play against. Australia is missing key players like Warner & Smith but still, Australia can be a very dangerous team. According to Kohli, the Australian team is very good in limited overs. India will focus on very small things to win this series. Right now it’s a very good chance for India to beat Australia on their home grounds. Its been very long since India has beaten Australia in their home grounds. India has the services of Rohit & Rahul who has samshed centuries and fifties against West Indies. Both of the power hitters are in great form and are motivated to repeat the same performance against Australia. Despite Australia being vulnerable, Indian captain said they pose a very dangerous threat to the Indian side. Kohli said, we have quality players and are confident to win against Australia. Australia recently has beaten by South Africa in white ball competition. 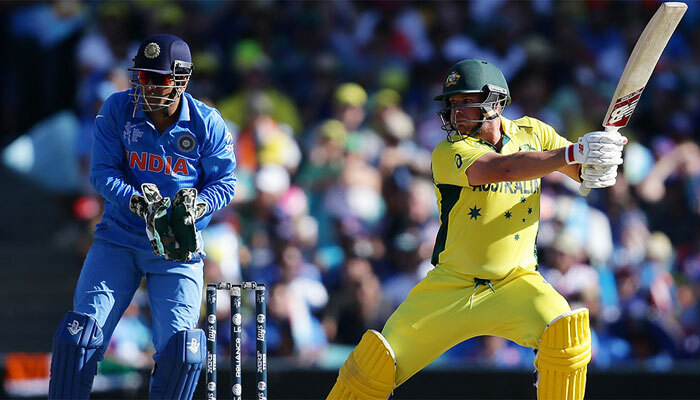 Australian captain Finch is confident to focus on their weak spots exposed by South Africa. This series is a great chance for us to play some aggressive cricket and play it on our terms, said the Australian Captain. How To Watch Australia vs India 1st T20 Live? You can catch Australia vs India live on Fox Sports in Australia, Star Sports 1 & Star Sports 1 Hindi in India & Wicket TV on the internet worldwide. Wicket TV will stream live cricket on the internet. We do not place popunder and other annoying ads for the sake of our visitors. Our main goal is to provide ads and buffer free streaming to our visitors. Most of the live cricket streaming websites have so many annoying ads and quality is also very bad. But Wicket TV channel quality is also great and there are no ads.